First-time homebuyers hoping to utilize the popular Federal Housing Administration loan program may find it more difficult to be approved for a mortgage this year, as the agency moves to reduce growing risks related to the program. FHA loans are insured against default by the U.S. government, allowing private lenders to extend credit to first-time buyers who would otherwise have trouble obtaining a mortgage. It’s estimated that around 12 percent of the entire mortgage market, and a third of all first-time buyers, rely on FHA-backed loans. However, the Department of Housing and Urban Development, which oversees FHA programs, has recently warned of growing risks in its portfolio of insured loans that is forcing it to change its underwriting standards. The FHA provided some of the first specific details on what this would mean for mortgage lenders and homebuyers in a March 14 letter. Starting March 18, applications for FHA-backed financing will undergo greater scrutiny, ostensibly restricting credit access for more buyers. These changes to the FHA’s underwriting procedures could impact as many as 50,000 mortgages insured by the agency each year, or up to 5 percent of loans originated annually under the programs it oversees. Lower average credit scores: As of 2018, the average FICO score of an FHA borrower was 670, which the agency said is the lowest since 2008. Already in its 2019 fiscal year, more than a quarter of recently approved mortgage applications had credit scores below 640. High debt-to-income (DTI) ratios: Also in 2018, the FHA said around 25 percent of the loans it approved had DTI ratios above 50 percent. Similar trends were already seen in 2019. In other words, more FHA borrowers were being approved for mortgages despite an already high debt load. 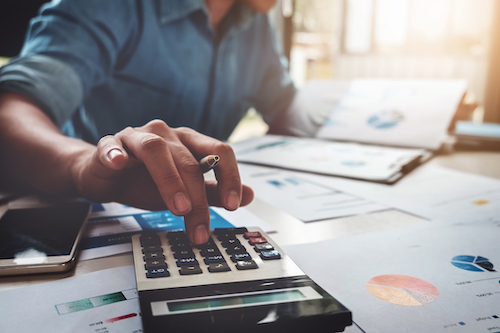 More cash-out refinances: The FHA’s insured loan portfolio made up of cash-out refinances grew by more than 60 percent in 2018. Cash-out refinances are considered riskier than traditional refinances. The FHA’s new underwriting standards only call for closer scrutiny of borrowers who present as higher-risk on their loan applications. The new standards don’t necessarily mean more will be rejected. According to lenders like Quicken Loans, one of the biggest originators of FHA loans, the new rules are not expected to have a major negative impact on business performance. Though that may not be true for other small, nonbank lenders who make up an increasingly large share of the mortgage market.